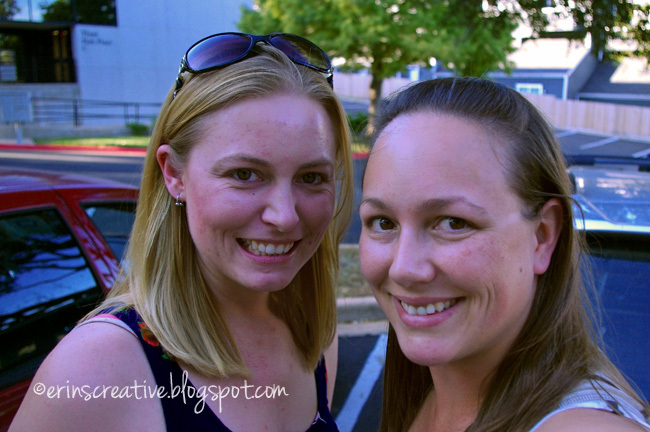 Injury, Halloween and sickness, oh my! What a week and I am still recovering. 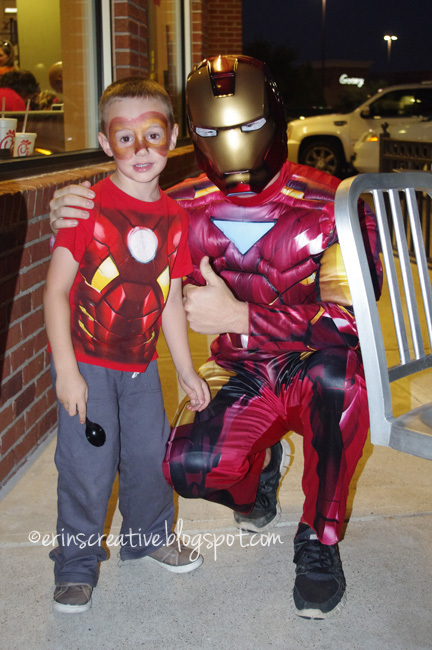 October 30 - I took the kids to family night at Chick-fil-a for Superhero night. Colton was dressed as Captain America and Maben as Ironman. There were two guys dressed up as both of them. Maben was ridiculously excited to get his picture taken with Ironman. To him, this guy was the real deal. 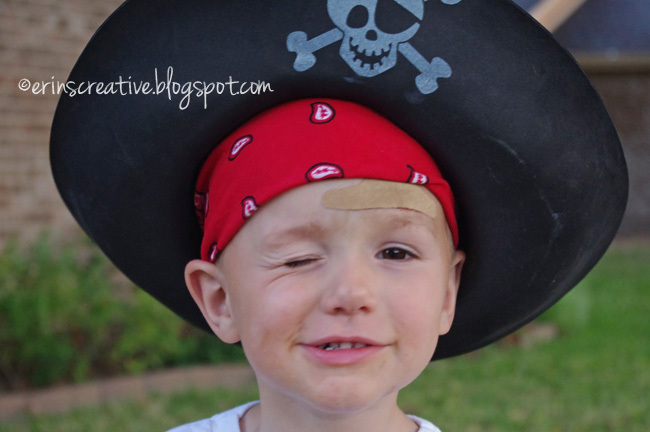 October 31 - Colton fell at preschool the day before Halloween and split his forehead open. We managed to barely miss getting stitches, but steristrips are definitely in place. This worked well for his pirate costume. November 1 - I took a day trip up to Austin to not only see my best friend Sabrina, but to also watch the movie, "Temple Grandin," and see Dr. Temple Grandin herself speak. It was awesome! November 2 - We had a few mornings that were densely foggy. 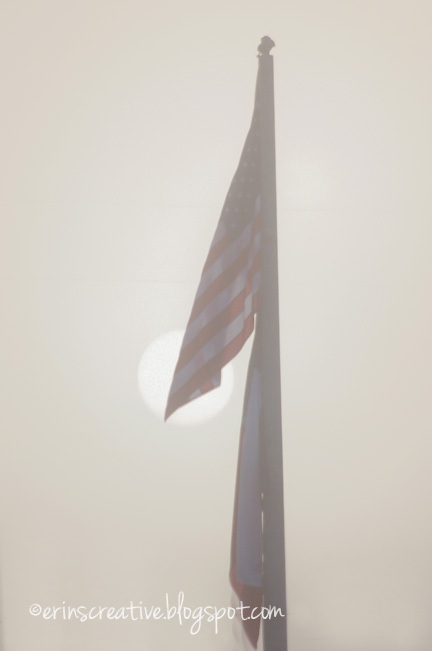 This is the flag pole at my son's school with the sun trying very hard to burn off the fog. November 3 - I finally finished a picture I had been working on while sick. 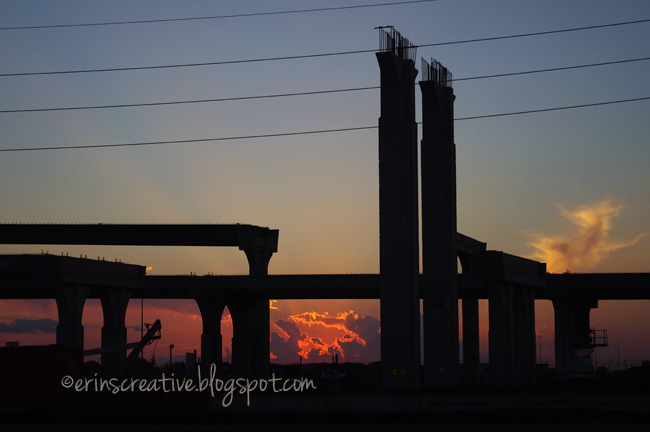 We have had some intense sunsets this fall that have been spectacular. I wanted to capture that in my drawing. 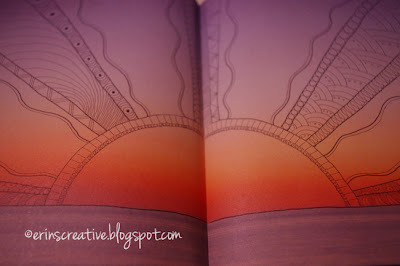 November 4 - I missed the intensity of this sunset by about 2 minutes. By the time I saw it in my rear view mirror and got pulled over, it was pretty much gone. But YAY, they are working hard on the new highway. Lots of improvements. November 5 - It's not only bird migration time, but butterfly migration too. I don't title most of my photographs, but the ones that I think are really special I do. I call this, "Red, White and Blue." 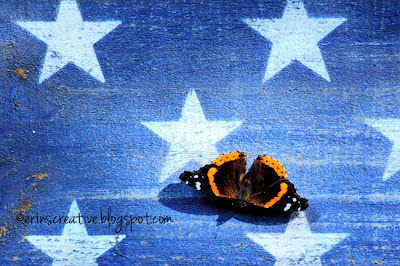 This is a Red Admiral butterfly hanging out on my American Fence Picket Flag. This is easily in the top 10 of my favorite photographs taken this year.